Anybody can make a referral to SWAP, including community groups, refugee organisations, housing providers and local authority departments. 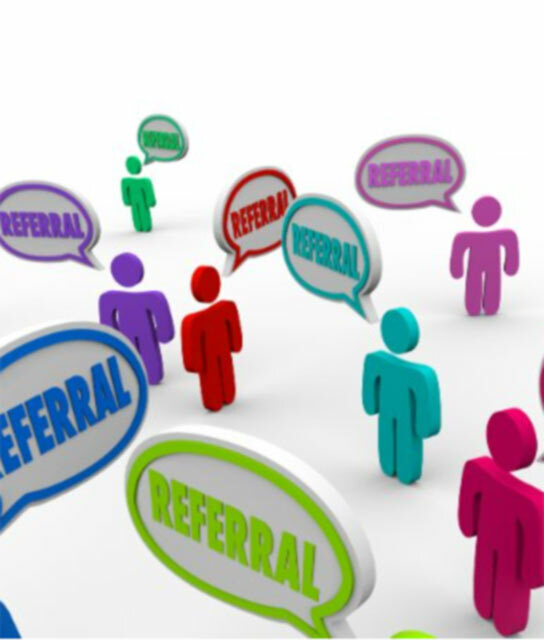 You can refer a friend or refer yourself, and referrals can be made by email, post or fax. Please read our referral guidelines before making your referral. Our focus is on providing practical support to asylum seekers, refugees in the borough of Wigan. SWAP is a small charity which uses volunteers to help us deliver our services. We aim to help people gain full access to the appropriate support services in Wigan. We help people access the NHS, local amenities, we have information about legal representations, housing, schools, we endeavour to help our clients solve their problems through our casework service, and by working closely with other organisations that work with asylum seekers and refugees. 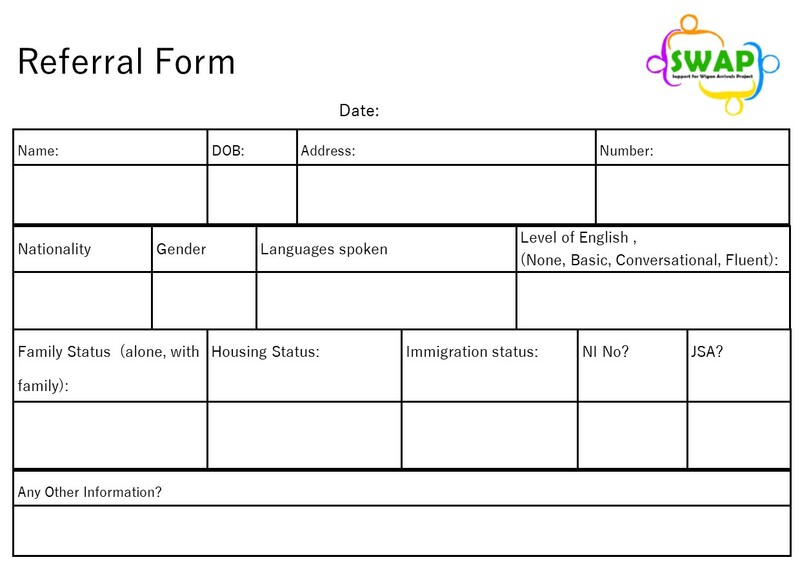 Occasionally we are unable to take on new referrals because our staff and volunteers are oversubscribed, or because we cannot find someone with the right language skills. If this happens, we will let you know within one week and will signpost you to other agencies which might be able to help you instead. For more detailed information about how we can help different individuals or if you have further questions, please call the office on 01942 516572. We are always willing to go the extra mile to help clients, as long as their need falls within our remit. If you are not sure whether SWAP can help your client, then please get in touch and see our referral guidelines. SWAP accepts referrals of clients of any race, nationality, religion, gender, ability or sexual orientation. Where, on occasions, we are unable to take on a new referral, this is due to lack of volunteer availability or language skills, and the referring agency will be informed of all such cases. We reserve the right to terminate immediately our work with any client who is abusive towards any member of the SWAP team. SWAP recruits volunteers from both migrant and host communities and provides training on the issues facing those from our newest communities. A number of the volunteers speak target languages: all speak English to a good conversational level. If you have clients who could benefit from this service, please complete the Client Referral Form and return to us by fax / post, or download an electronic version from our website and send via email. Please ensure that clients understand what is in SWAP’s remit to do. We are unable to give legal advice relating to immigration status or welfare benefits, undertake childcare duties or provide certified translation or interpretation services.